The wireless Window Handle Air quickly and reliably detects open, closed or tilted windows and can be easily integrated into a Loxone Smart Home. In addition, an in-built vibration sensor detects if force is used to gain entry, and sends an immediate notification via the app, email or audible alarm in the house. Ever leave the house and wonder if you’ve remembered to close all the windows? With the new Window Handle Air, you no longer need to worry about it. 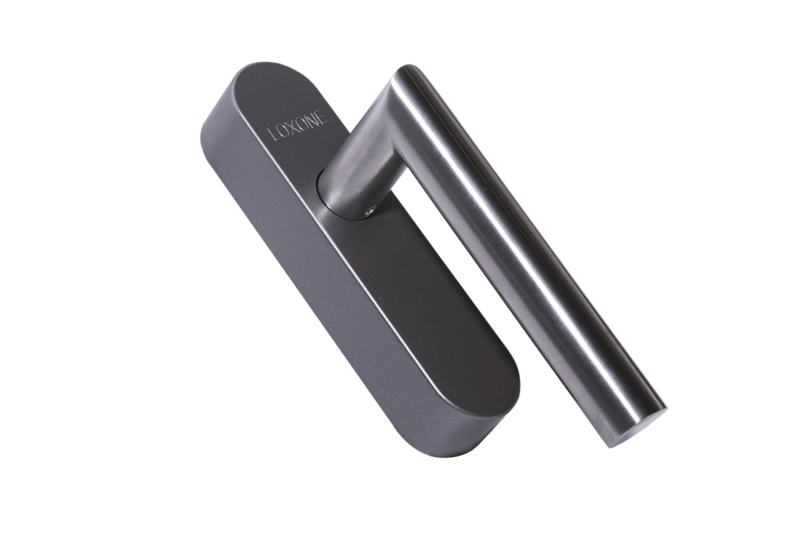 Thanks to innovative Loxone Air technology, the Window Handle Air detects the current status of your windows (open, closed or tilted open). The inbuilt vibration sensor also detects glass breakage. The best part? There’s no need for any wiring, so it only takes a few minutes to set up in your home. We’ve all been in the situation – you’re rushing to leave the house and in the flurry, you can’t remember if you’ve closed all the doors and windows and you spend your whole commute having awful visions of returning home to find the house ransacked. Well, it’s time to stop worrying, those days are over. Thanks to the new Window Handle Air, you’ll be able to see instantly whether your windows are fully open, open on a tilt, or closed, no matter where you are. Most burglaries are opportunistic – with open windows being a favourite entry point for burglars. However, if your windows are closed and someone breaks into your home by smashing the glass, you’ll receive an instant notification about it. By recognising the three typical positions of a European-style window (closed, opened & tilted), the Window Handle Air keeps track of your windows, and you can instantly see the status of them in the app. If the window handle recognises an open window, the Loxone Smart Home lowers the heating in the respective room, ensuring you don’t spend money on heating your home unnecessarily. From the first sketch to the final touch – our Window Handle Air has been designed with the utmost precision and complements every window with its chic, stainless steel design. Battery powered with 2 AA batteries with an expected lifetime of more than 2 years. 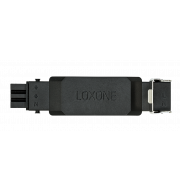 Thanks to our in-house wireless technology, you can easily integrate it into your Loxone Smart Home. The Window Handle Air can be installed in less than 5 minutes and can be used immediately upon configuration.